It is still dumping rain on us up here today. 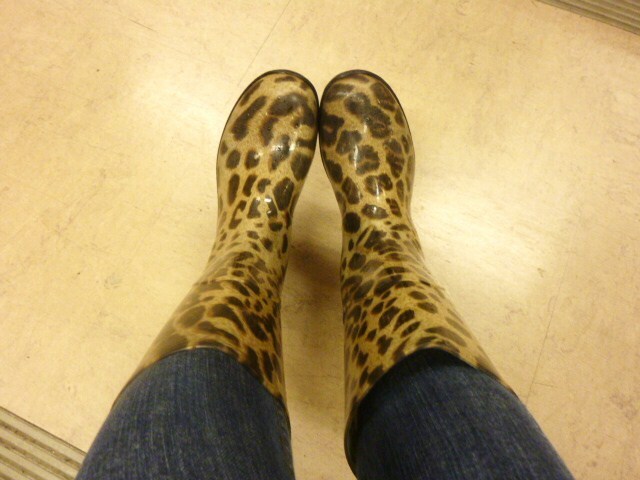 So of course I busted out the trusty rain boots for my trip to work. My breakfast today is pretty typical. Notice the little green specks in my smoothie? I think my VitaMix is dying. A VitaMix green smoothie is usually solid colored because everything blends so well, so seeing spinach bits is a little disconcerting for me. Doesn’t keep it from being delicious though. 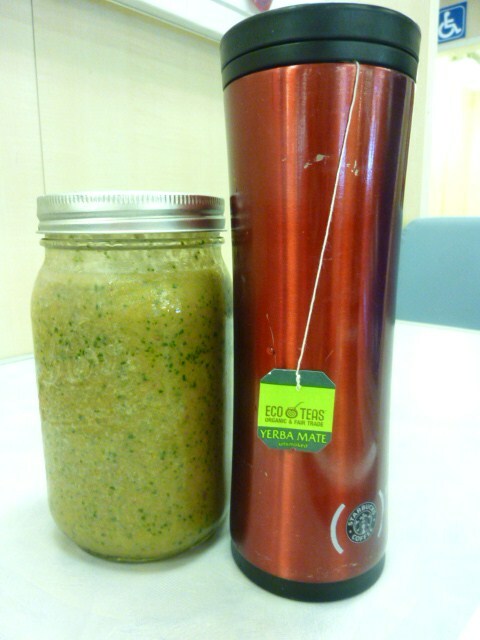 I’ve also got some yerba mate with lemon juice. Such a good wake-up brew. 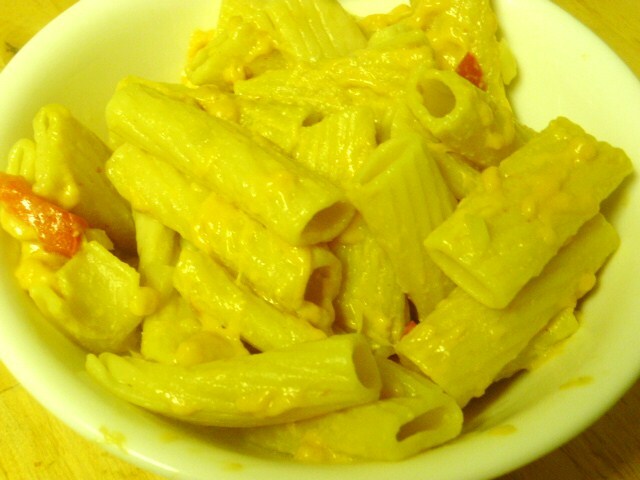 As I mentioned in last night’s post, Keenan had some homemade vegan mac and cheese waiting for me when I got home. My entire life, I have always been a huge mac and cheese lover. Actually, during my last year of college, one of my most frequent study snacks was Easy Mac with some broccoli chopped up, all stuck in the microwave together. As such a big fan of the regular version, I honestly wasn’t expecting too much, but he really impressed me with this dish. It also definitely proved that he’s understanding the whole vegan cooking thing. Cook the pasta. Drain, and return to the pan. 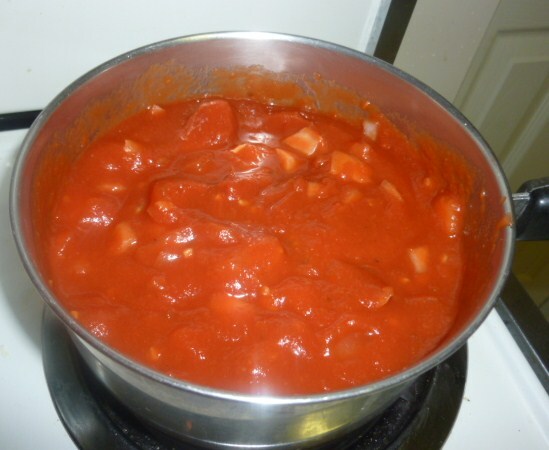 While still hot add the rest of the ingredients and mix until the Daiya is melted and everything is combined well. This recipe was soooo amazing. It was creamy and cheesy and everything I could have hoped for. I ended up eating two big bowls, and I packed the leftovers to take for my dinner at work tonight. It’s going to be so delicious that I’m already excited just thinking about it. If you love mac and cheese anywhere near as much as I do, you should really try this recipe. You won’t be disappointed. Well, my rain boots and I are about to go brave the streets of Seattle. I hope you all have a fantastic day! Here’s a fun fact: in the years since I’ve been 21, I’ve never been able to celebrate “Cinco de Drinko”! I have always been busy with school or work, or some other activity that made celebrating impossible. I honestly don’t know whether I’ll end up celebrating tonight or not. I don’t work tomorrow, but I also won’t get home from work until after 10, so we’ll see. Rumor has is that Keenan’s fajitas might be turning up again tonight. I’m keeping my fingers crossed! 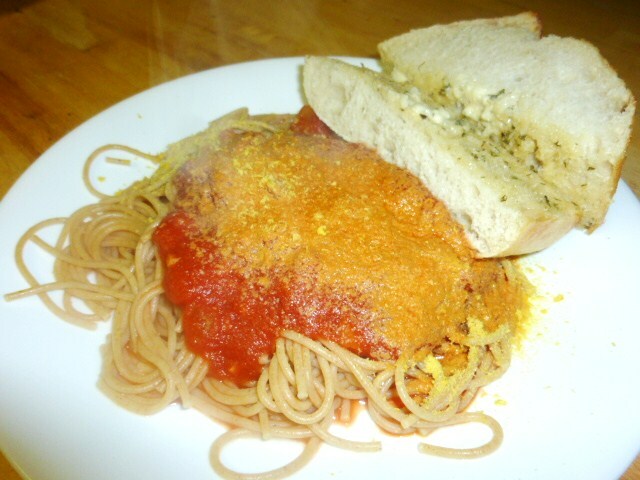 Last night, Keenan decided to surprise me with spaghetti marinara and garlic bread when I got home from work. When I was a kid, I’m pretty sure spaghetti was my absolute favorite dish. I was a pretty picky kid too, so that’s saying something. I think Keenan’s version turned out pretty darn well. 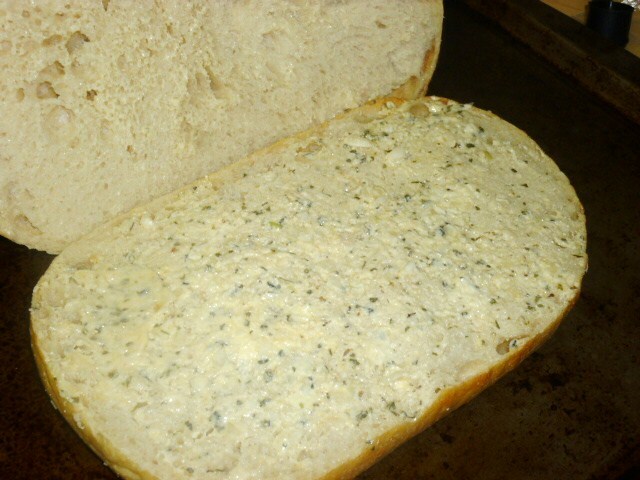 The garlic bread was made starting with a loaf of plain French bread. Keenan prepared the garlic butter using about a 1/2 cup of Earth Balance, 4 cloves of garlic, some garlic powder, and some dried oregano and cilantro. He sliced the bread in half and spread the garlic butter over the bottom slice of the bread. 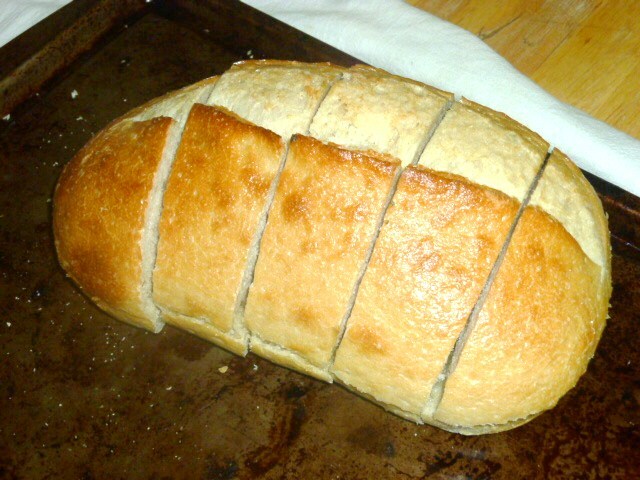 We then baked the bread at about 425 degrees for about 10 minutes, or until the crust started to darken slightly. 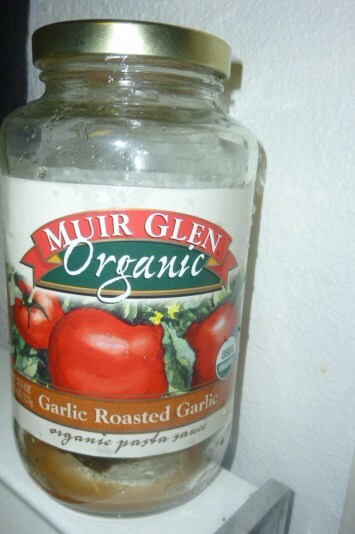 For the spaghetti sauce, we simply sliced up some fresh tomato and onion, and added it to a jar of Muir Glen organic pasta sauce. We let it simmer on med-low until warm. 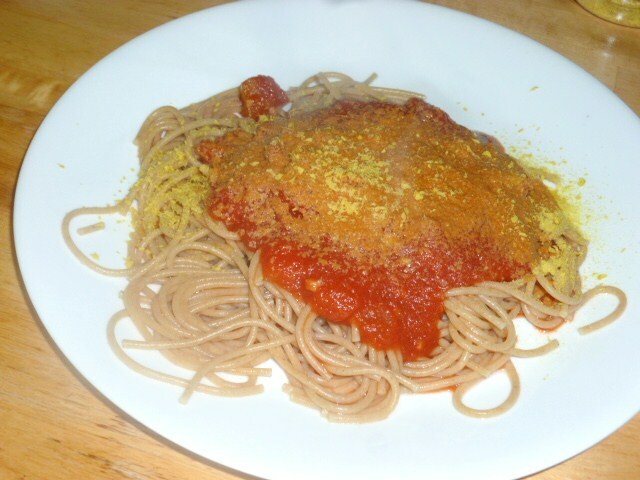 We cooked some organic whole wheat spaghetti and added it all together. I also added some nutritional yeast to mine, for some added punch. Pretty sure I ate at least half of the loaf of garlic bread by myself. Don’t judge me. 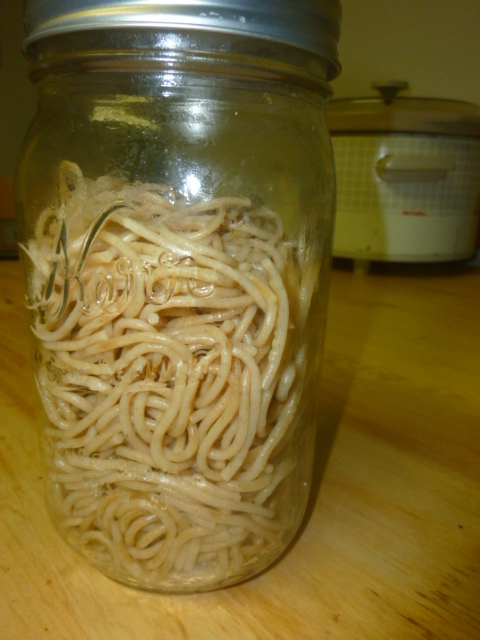 Check out this creative spaghetti storing solution. Yup, they work for everything. 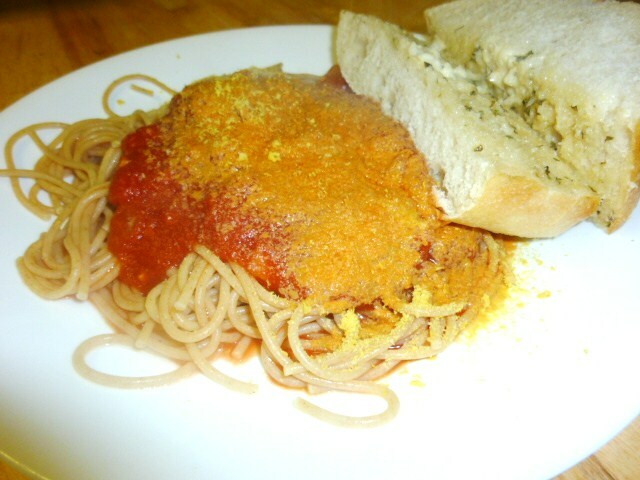 The spaghetti marinara is also making a guest appearance in my work dinner tonight, so that should be yummy. I can’t believe that I used to be a child who abhorred leftovers, and now I honestly think that most things taste better as leftovers. I think it’s because the flavors get to enrich a bit overnight. Well, I hope you all have a lovely Cinco de Mayo! Eat something Mexican or enjoy a margarita the size of your head. Whatever helps you enjoy the holiday!